Hello to all the engaged couples and the wonderful folks helping to pay for your big day! Congratulations! I think the videos posted below give some great tips on a starting up a great and productive conversation with your floral designer. We, as professional floral designers really, really want to create what you want for your wedding, within the budget that you have specified. It is all about the items that you are requesting from us. 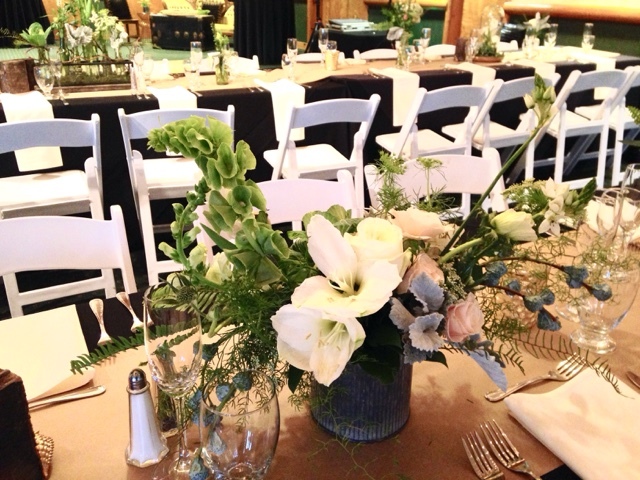 The majority of people haven't purchased wedding flowers before, so we realize it is all new, an unknown territory, As a professional Floral Designer, it is my job to guide and inform the client towards a happy conclusion to their meeting with me, hopefully ending in booking for their wedding day! These tips are especially important if you've decided to shop floral gifts online instead of going with a local floral designer. Online floral designers are going to have even more trouble figuring out what works best for you, so you've really gotta know how to help them help you. They catered my wedding last month and they were amazing! Don't overlook this gorgeous venue!! It's something you have to check out in person. My family and friends could not stop talking about how good the food at wedding venues was and how sweet the staff was! In my opinion Without the knowledge, tools, treatment processes and long the lasting cultivars available today, there simply is no reason that wedding floral designer cannot have wonderful long lasting flowers for the wedding. No doubt, these tips with write an essay interacting with wedding floral designer.